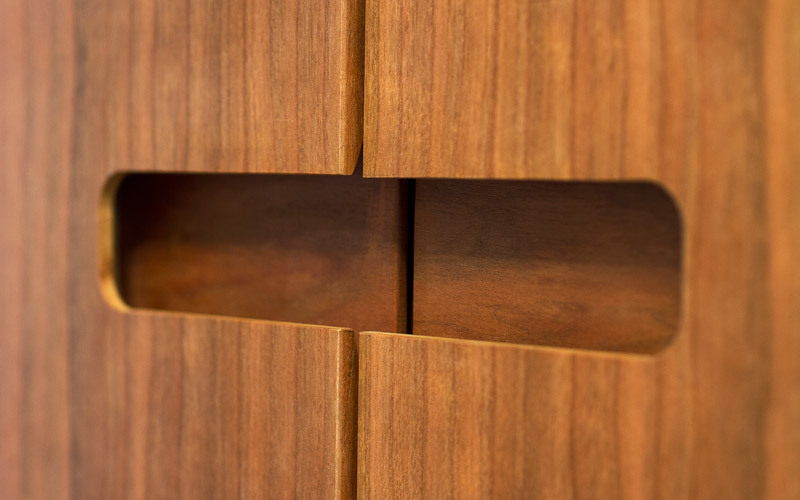 A set of custom built-in cupboards in a book matched cherry veneer. 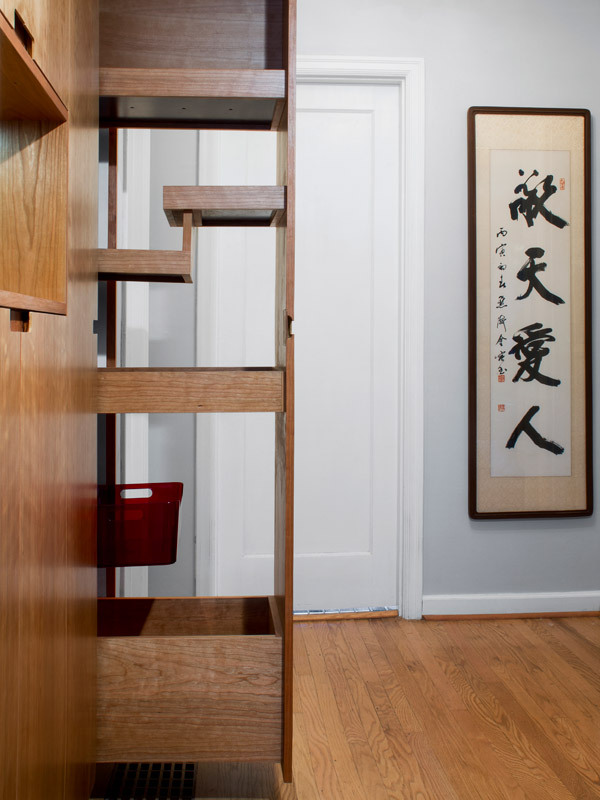 Comprised of a pullout pantry-style cupboard, a series of doors, and hidden drawers, this piece is designed to be highly functional as well as impart style and warmth to the hallway in which it is situated. 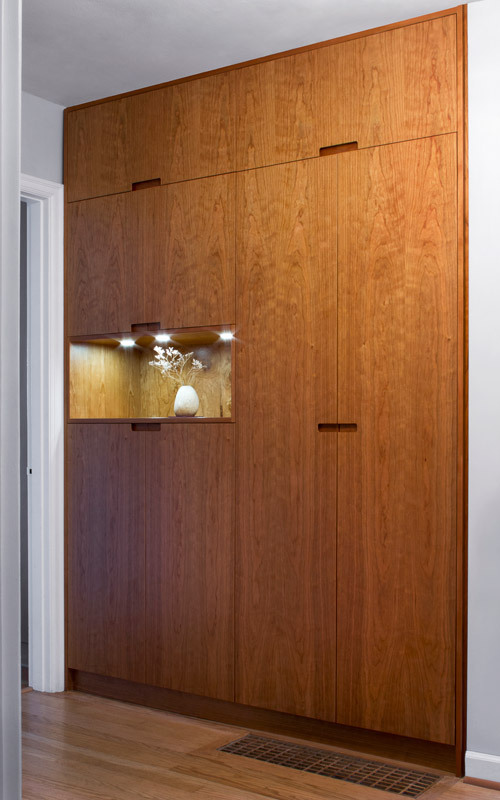 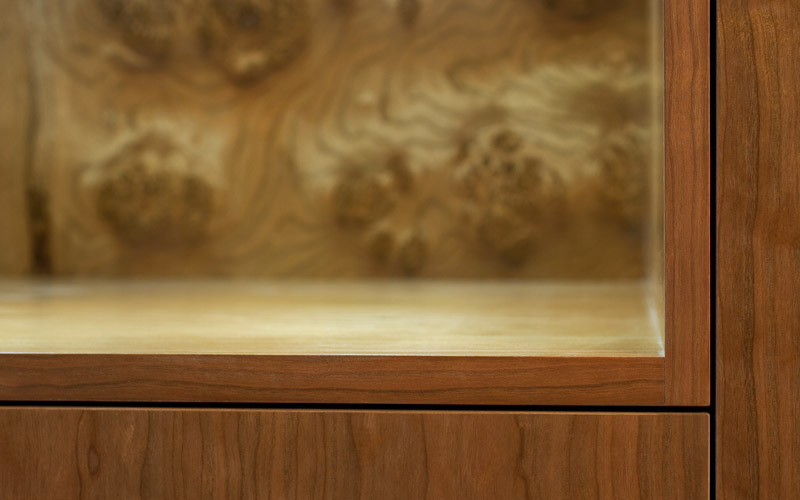 A display nook is backed with a decorative cherry burl veneer and accentuated by lights controlled via a hidden dimmer switch. 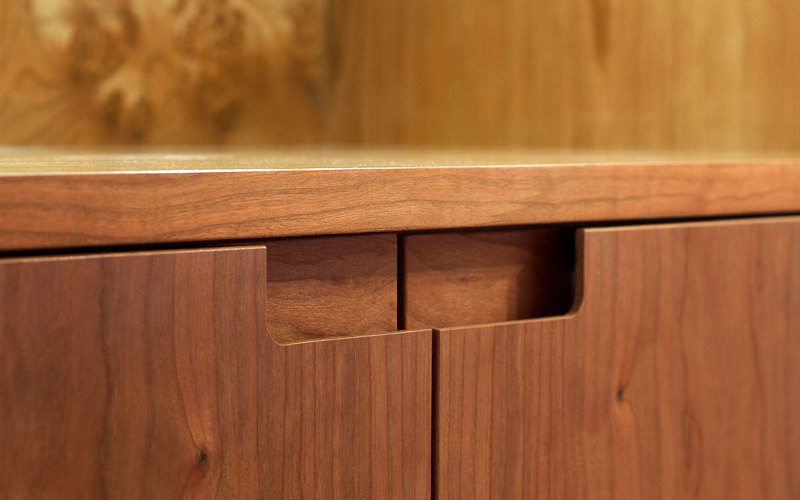 The built-in handles add to the unit's clean and modern appearance.